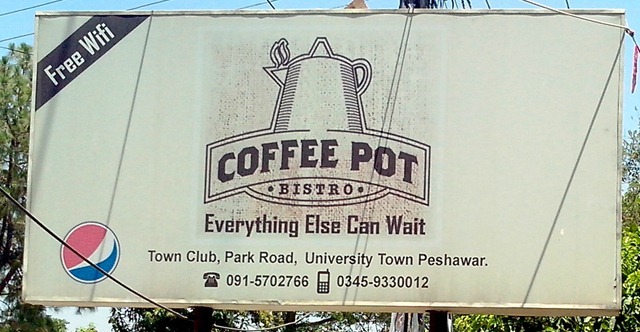 Nestled in between Dewan-e-Khas and a few cozy tree lined houses in the quiet part of Peshawar lies this eatery that has my attention for quite for sometime. The environment is what one what would expect from any upscale restaurant of the day. Its quiet demeanor is above all impressive. The kind of place where I would love to go any day (be it a sweltering summer afternoon) for a cold coffee or a freezing winter noon for a cappuccino. There’s free WiFi off course if you want to do some Face-booking or tweeting in between those big wanting gulps. The guy or gal has a nice stack of books placed in a rosy corner which I love to leaf through. Somehow, more of it is about the KP, Khyber Pakhtunkhwa, but impressive, very much :-). Always want to ask the waiter if he would loan me some, but stop just short of it. They also have some good dainty cakes and pastries displayed which besides looking good also taste great. Try them out, on my word. 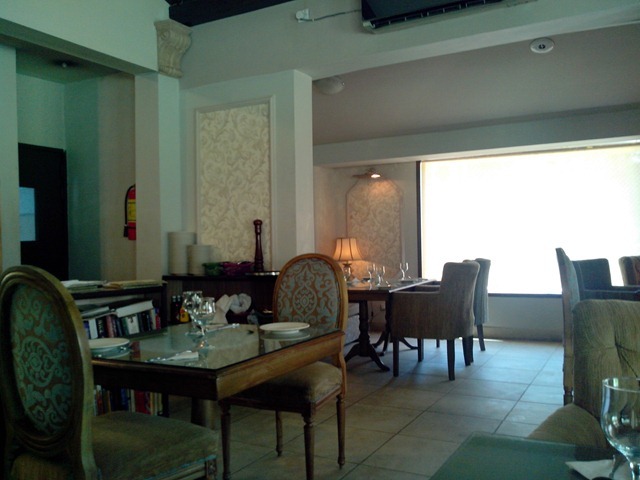 The steaks that I have tried are very good, service is impressive and the decor pleasing. A center room with two connected adjoining rooms is what makes the most of it. There’s LCD TVs to match a Cricket in between tidbits, or Geo TV for those wretched souls who can’t seem to get out of it. 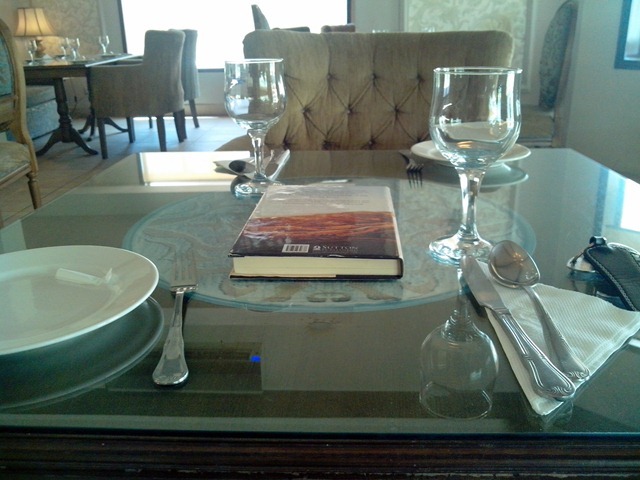 Nice ambience, lighting and the place to go for some good time alone or with family. Did I mention, they also serve Sheesha? The faint-hearted can also sit outside if they choose to.